What a horse Shiver was! and doesn’t it make you wonder… how’d he get that name? Do I detect traces of draft horse there? He is gorgeous and so proud! 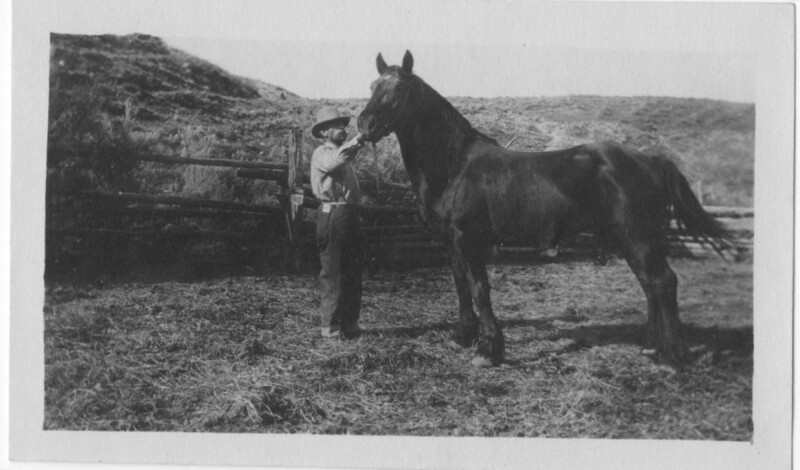 Beautiful old photo of the horse (he sure is tall). Maybe he was born in the cold of winter and they named him, Shiver!?! Now that is a horse. WOW!! I sure would need a step ladder to get on. What a beautiful animal.